England may be small, but it’s got a whole lot going for it, and let’s face it, sometimes we just simply don’t have the time (or the cash) to embark on a round the world trip! Often, a trip around Blighty can be just as awe-inspiring, with gorgeous countryside, stunning beaches, and delicious food. 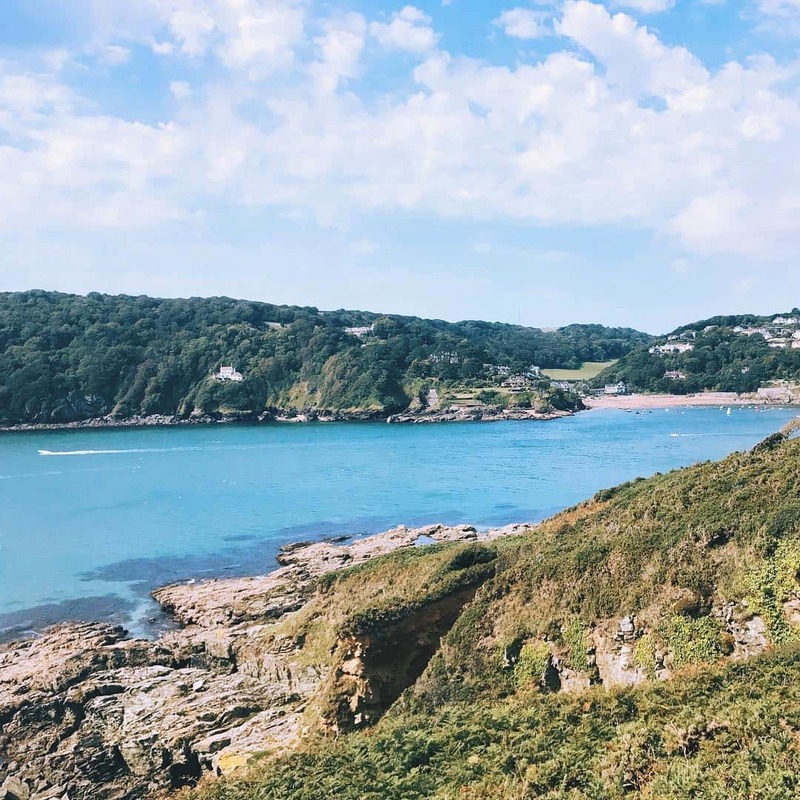 We’ve rounded up some top travel bloggers who spilled the beans on their favourite destinations in England, from bustling cities to off-the-beaten-track villages. Many of the bloggers are UK based – so they know what they’re talking about! 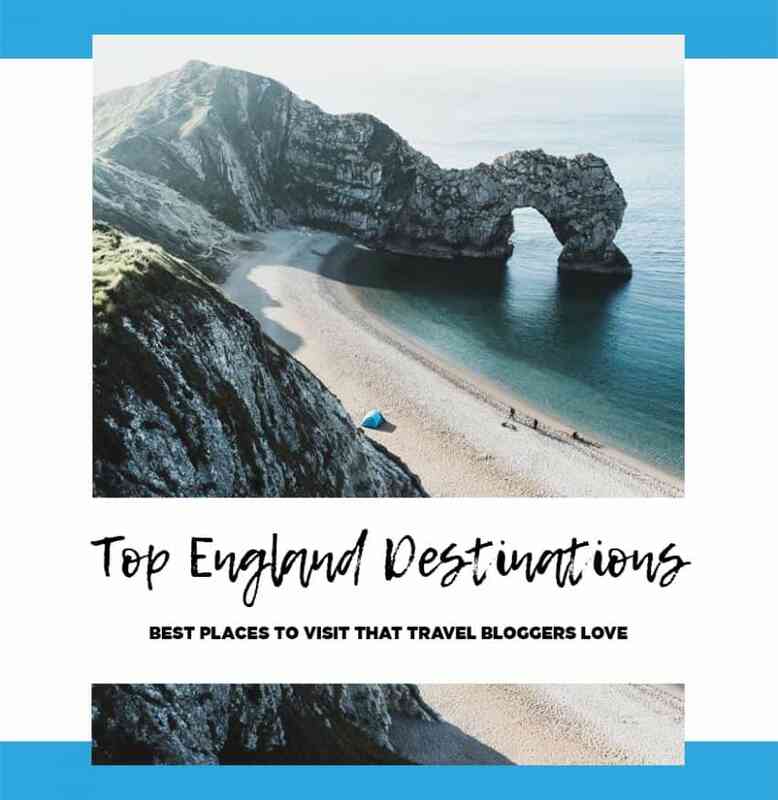 Whether you’re visiting from abroad or trying to plan your next ‘staycation,’ keep reading to discover 22 of the best places to visit in England. My criteria for a great destination is one that has a vibrant food scene, plenty to see and do, and preferably has a bit of a hipster vibe. And luckily for me, I don’t have to hop on a plane to find somewhere that ticks all of these boxes. Bristol is a city that seems to steal a little bit more of my heart with every visit. 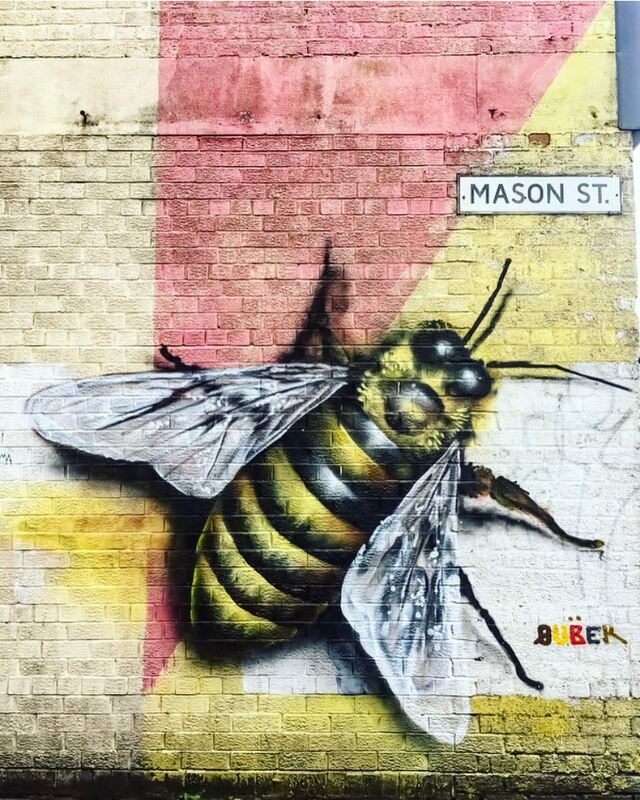 No matter when you arrive, there’s always something to do – from the historic SS Great Britain to the mesmerising aquarium and incredible street art everywhere you look (including some original Banksy pieces). 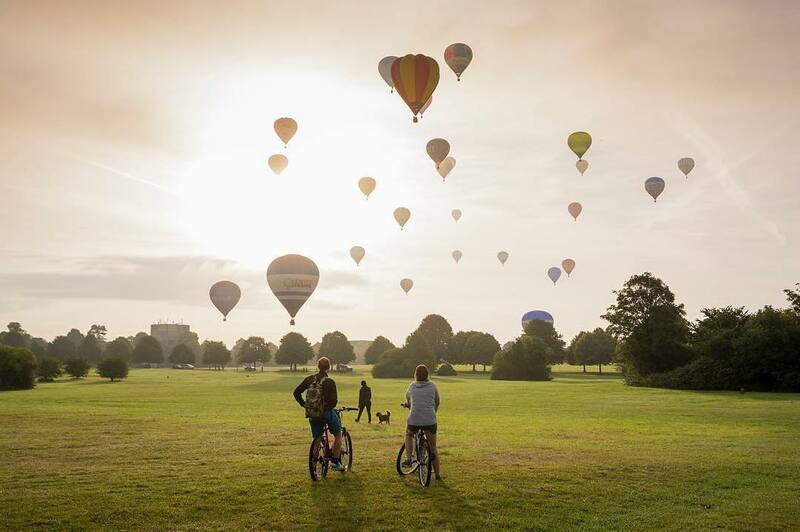 Travel there during the summer, and you’re bound to stumble upon a festival like the weekend-long Harbour Fest that provides non-stop free entertainment, or the stunning International Balloon Fiesta, which sees hundreds of hot air balloons taking to the skies. 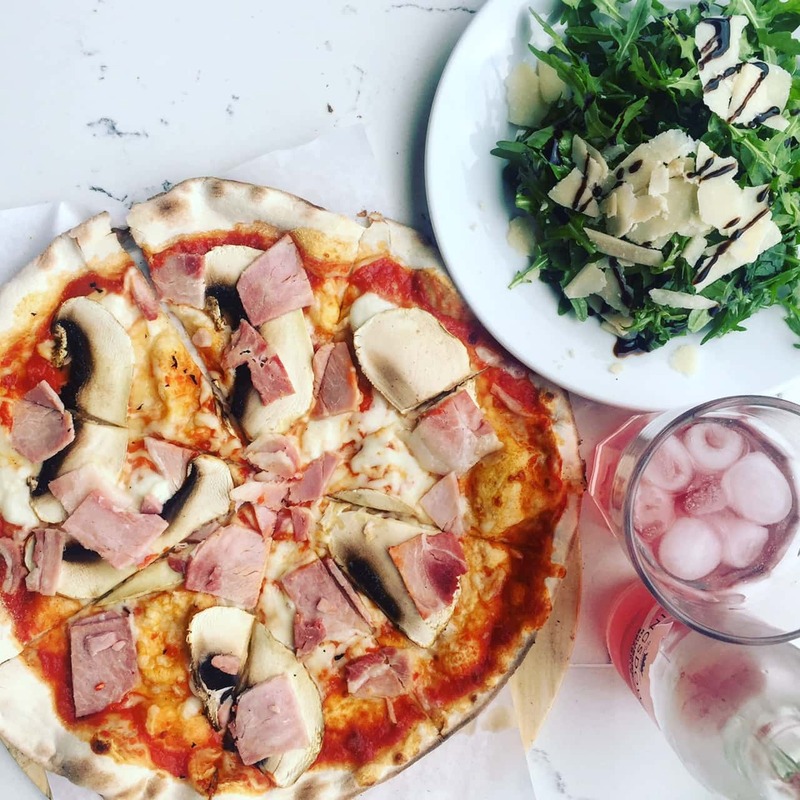 Grab lunch at St Nick’s – a covered marketplace with plenty of food stalls – and finish your day with pizza and cider at The Stable, or for something a little different, go for tapas and a glass of wine overlooking the harbour at The Olive Shed. The Lake District is my favourite national park in the UK, and one of the gems of the north of England. 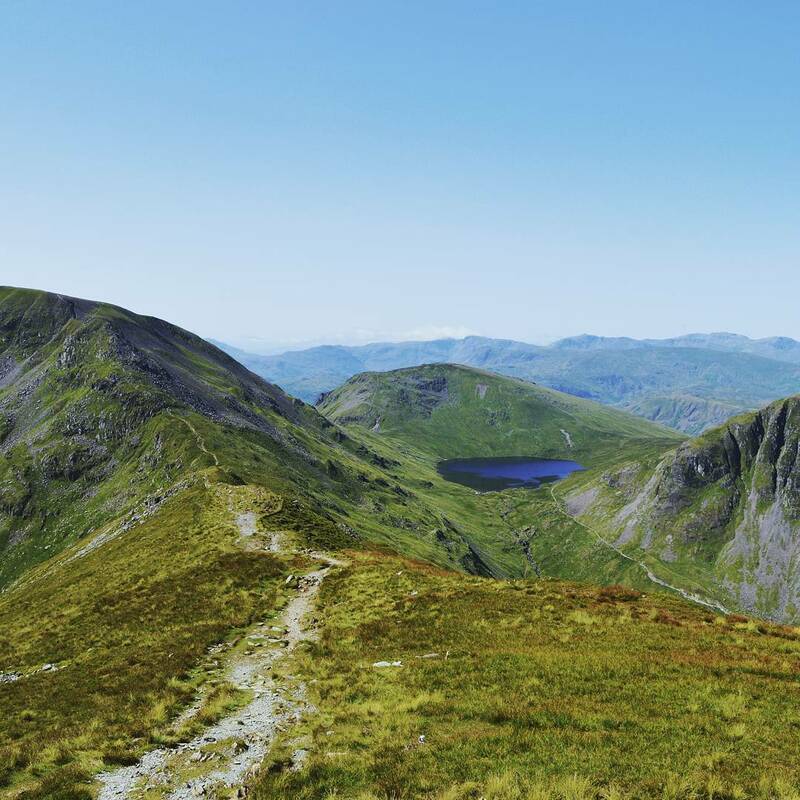 If you’re interested in hiking, photography, outdoor adventures, cosy pubs with home-cooked food or visiting the homes of famous poets, then the Lake District is for you. Getting there couldn’t be easier, with Ambleside and Windermere in the South Lakes a mere 30 min drive from the M6 motorway. Reaching the Lake District by train is easy too, with frequent departures from London taking a little over 2.5 hours, and prices from £22. Speaking of trains, you can take a train into the centre of the National Park from Ravensglass deep into the Eskdale valley. This is a narrow gauge steam train ride, a journey you won’t find anywhere else in the UK. 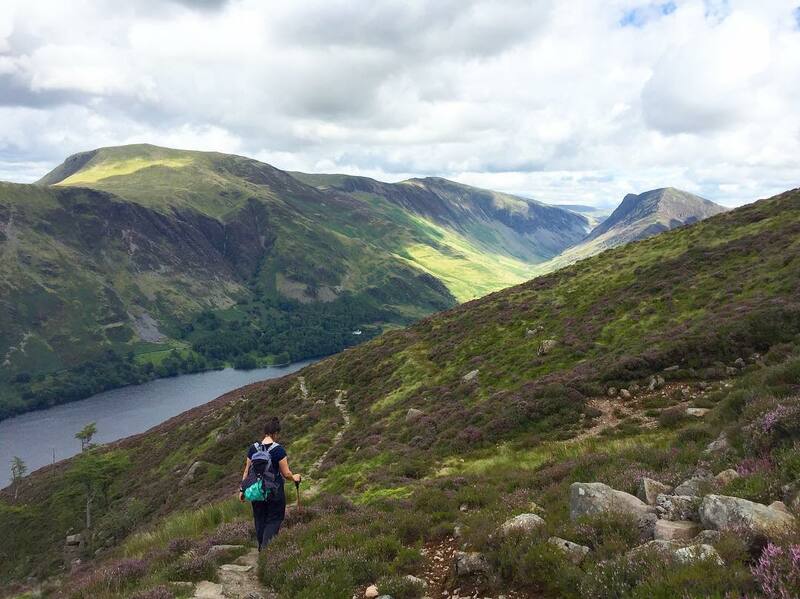 Once you’ve finished canyoning, hiking or cycling around the beautiful countryside, the Lake District is full of cosy, welcoming pubs that serve more real ale than you can shake a stick at. Give the Royal Oak in Ambleside or the Dog and Gun in Keswick a try for a proper Cumbrian experience. 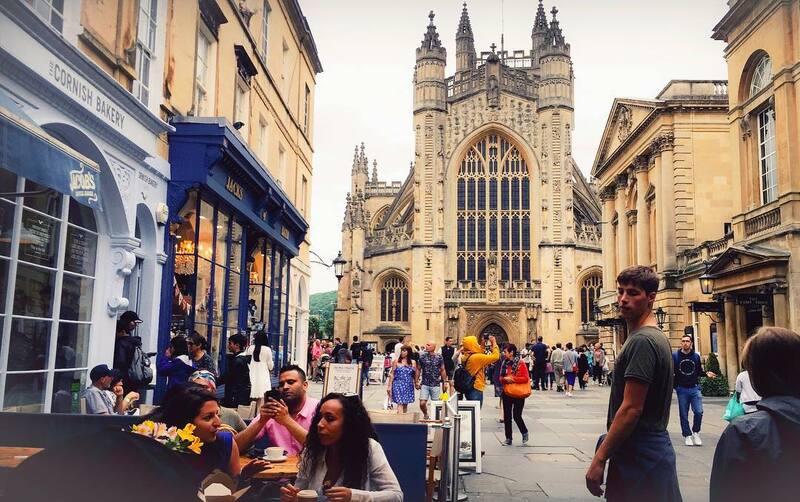 One of my favourite cities in the UK is Bath. 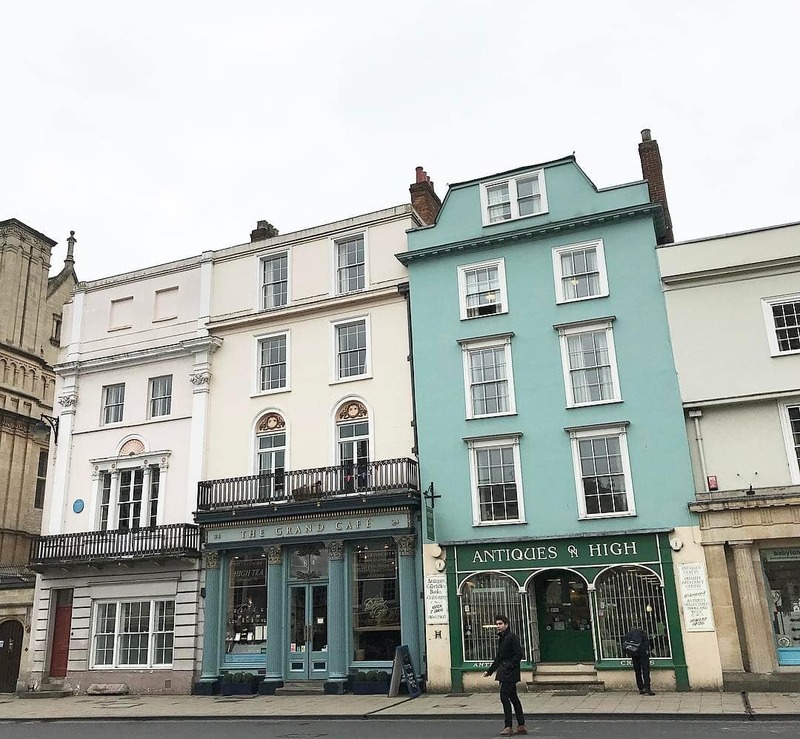 Aside from simply being one of the prettiest cities in the south of England – all that honey-coloured Bath stone certainly helps – there’s just so much to do there. For me, the highlight is Thermae Bath Spa, which is the only local spa to use the natural thermal springwater that first put this town on the map. And of course, you can’t miss the Roman Baths to learn all about the history of my favourite spa town. I love all the Jane Austen connections in Bath, too. As well as the Jane Austen Centre, which is great fun, fans should also take a trip to the Bath Assembly Rooms. These gorgeous Georgian ballrooms were the setting for scenes from two of her novels (Persuasion and Northanger Abbey). Then there’s all the lovely Georgian architecture – I love The Circus, and of course, there’s the famous Royal Crescent. Just go for a walk around the city centre and enjoy it all. If you’re looking for something a little bit quirky to do, check out the Bizarre Bath comedy walking tours – unique, silly, and definitely memorable. 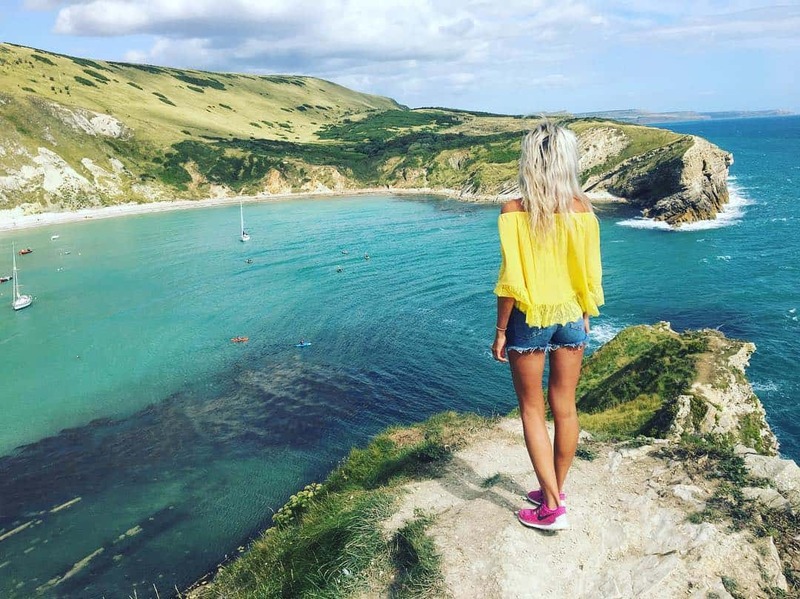 If you’re looking for a staycation with gorgeous landscapes, incredible seafood, and loads of outdoor adventures, you should definitely down to south Dorset. I grew up in Weymouth, a cute little seaside town with loads of vintage charm, so I might be a little bit biased. Nonetheless, I genuinely think this is one of the most beautiful parts of the UK! One of the highlights is the famous Jurassic Coast, which starts down in East Devon and runs as far as the stunning Old Harry Rocks near Swanage in Dorset. 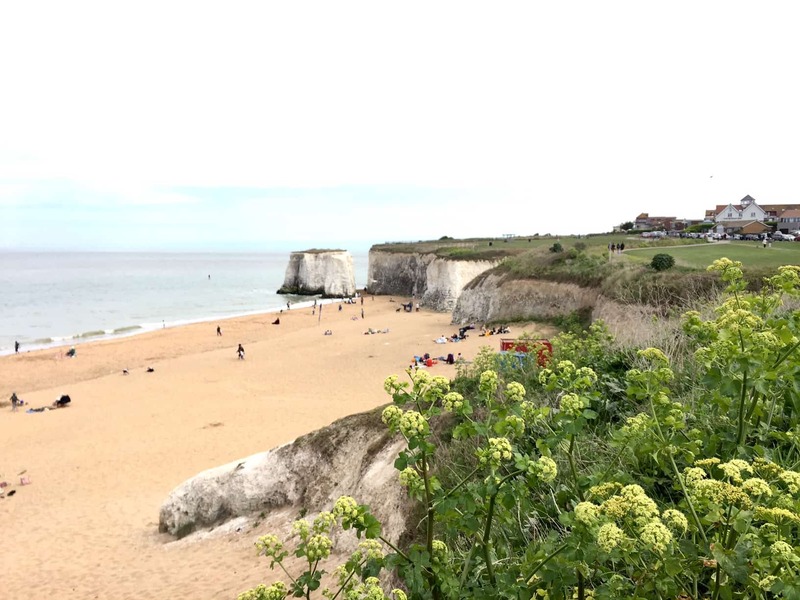 The cliffs here were formed between 252 and 201 million years ago, during the Triassic Period, but as well as fossils and geology there are some really pretty landscapes and great cliff walks. 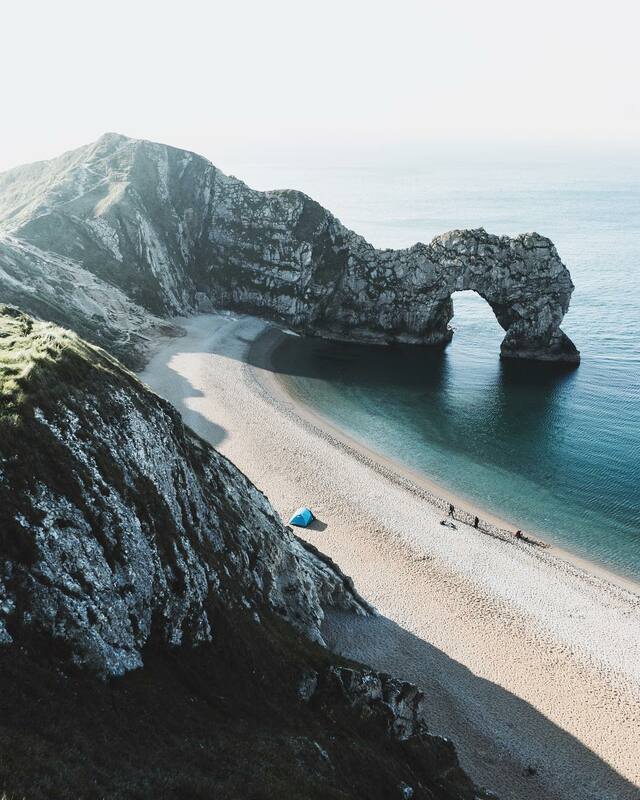 Don’t miss Durdle Door, a stone archway over the sea at one of Dorset’s most beautiful beaches. A kayaking tour is a great way to see it! 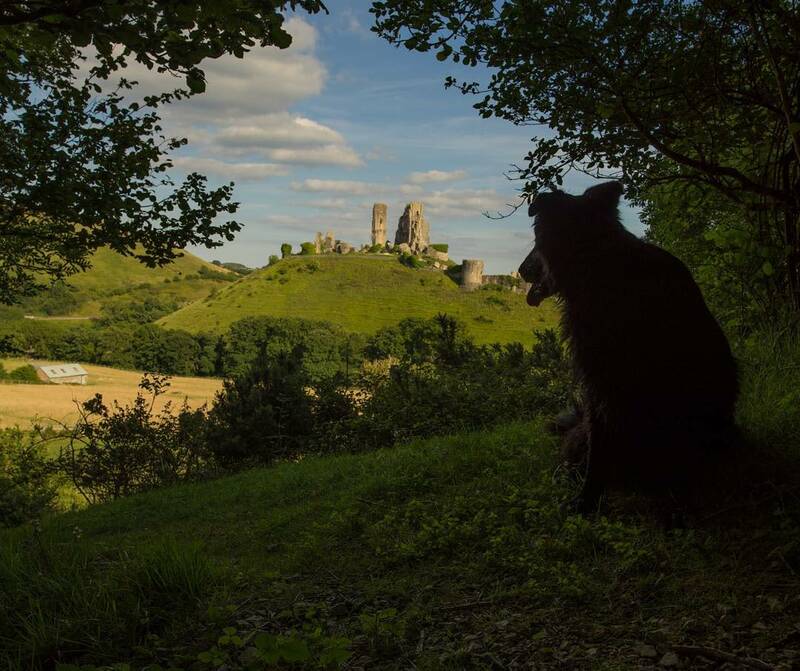 I love Corfe Castle, a ruined castle at the top of a hill, which was the inspiration for Enid Blyton’s Kirrin Castle. For something a little different you have the village of Tyneham. It’s one of my favourite places in the county and not a lot of people even know it’s there – a ghost village abandoned during WWII where you can explore the ruined houses and the beautifully restored 1940’s schoolroom. Dorset can be reached by a quick 40 minute drive from Bournemouth. 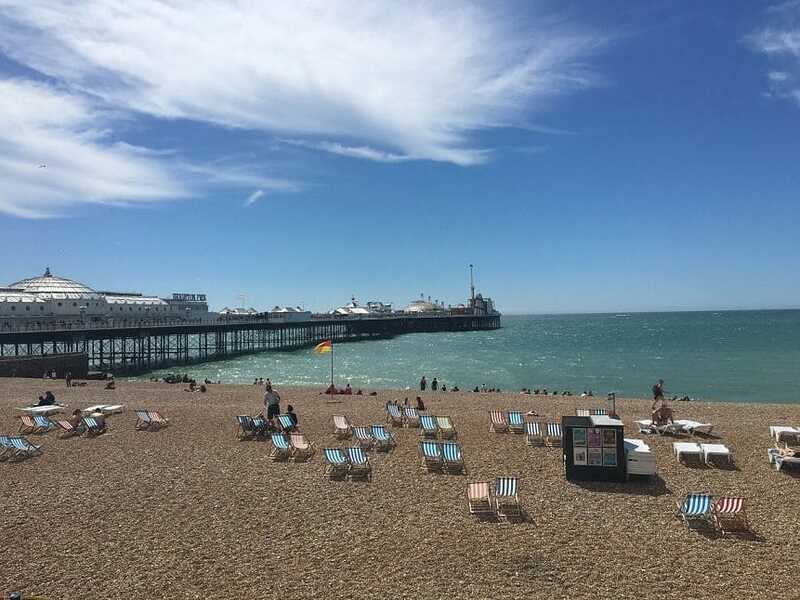 Brighton is fantastic for everyone, whether you’re a couple looking for a romantic getaway, a family in need of some seaside fun or a group of friends wanting to party the night away. We love wandering around the streets and often you don’t need to plan what to do in order to have a good time – the markets, graffiti art, and street entertainers are some of the things that make this city so lovable. Keep an eye out for events when you’re planning to visit – Brighton Pride being one of the biggest ones of the year. We love a classic fish and chips along the beach or strolling through The Lanes where you’ll stumble across a series of little eateries. A couple of our favourite places to eat include the famous Choccywoccydoodah which any chocolate lover would be mad to miss indulging in! Dos Sombreros is another favourite, an independent Mexican with a wide selection of delicious food and cocktails. The Lanes are a collection of tiny fairy-like cobbled streets famous for their ornate shops and restaurants. Be prepared for them to be busy on a weekend but they are lovely to explore and take in the Brighton culture which is full of quirkiness. Brighton Pier has an assortment of arcades, rides, and other novelty fun whilst still keeping its historic ambience. 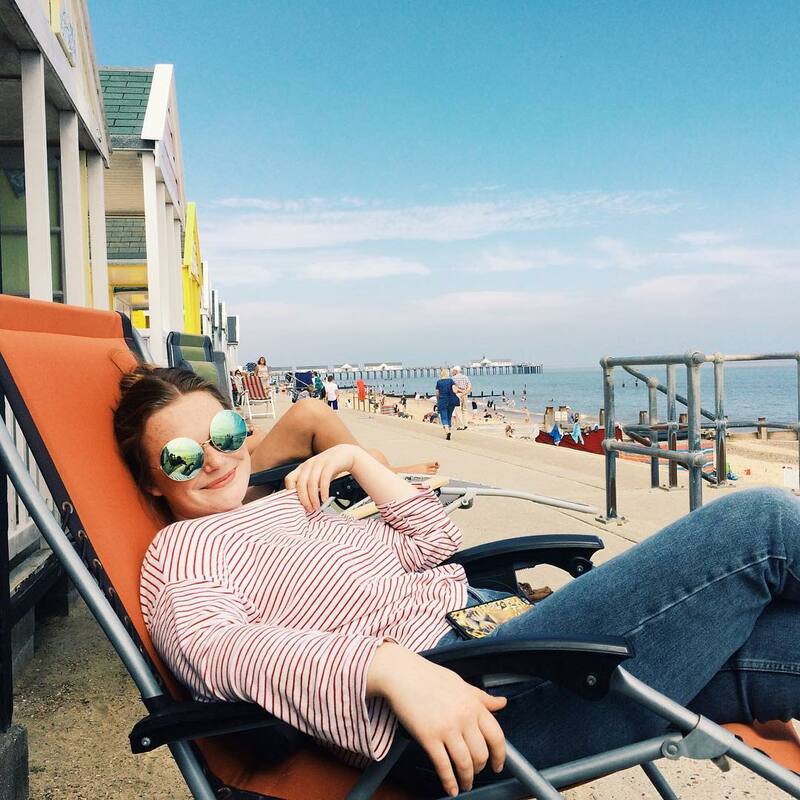 We like enjoying a cider and kicking back and relaxing with the view of Brighton’s picturesque, colourful seafront bursting with beach huts and beautiful regency architecture. If you’re looking for the most quintessentially English place to visit – The Cotswolds is it. Stone cottages, flowing streams, winding roads and pretty villages make The Cotswolds a postcard perfect destination for a Great British escape. With a driving time of just 2 hours from London, it’s not too far for a weekend break, plus you can stop off in Bath if you want to make the most out of your trip. Driving around The Cotswolds and admiring the scenery is an experience in itself, although if you’re visiting in peak summertime expect to be joined by tourists in some of the bigger towns. For food, I’d highly recommend a pub nearby called The Old Fleece, which serves a gastropub-style menu and a brilliant Sunday roast. There are so many beautiful towns and places to visit in The Cotswolds that you could spend days touring around, but my top picks are Castle Combe, Bibury, Bourton-on-the-Water, and Stow-on-the-Wold. My favourite thing to do here is to pay a visit to Cotswold Wildlife Park, which offers the most up-close-and-personal experience with wildlife I’ve ever encountered. You can walk through an enclosure filled with lemurs hopping from tree to tree and snap photos of the rhinos grazing freely in front of the Manor House. Another great place to visit is Sezincote Estate which is a 4,500 acre estate with a 200-year-old Mogul Indian palace. For me, The Cotswolds is without a doubt the most relaxing place for a vacation and it’s no wonder this place has inspired so many writers and poets throughout the years. 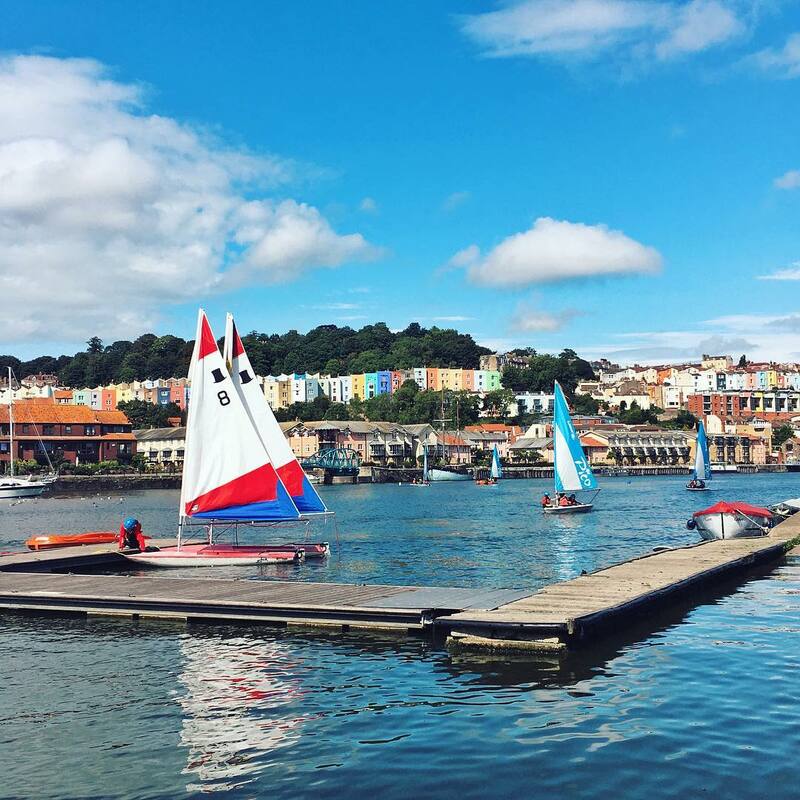 It’s easy to get here, just hop on a one hour train from Bristol. It might be touristy, but sometimes I just love being a tourist in my own city! I think one of the best ways to see London is by river with a hop-on-hop-off river cruise. These usually cost around the £10 mark and (as the name suggests!) you can get on and off as many times as you like. Starting at Westminster Pier, the cruise goes all the way down to Greenwich where adrenaline junkies can climb the O2 Arena and you can ride the Emirates cable car to get an awesome view of the city from the sky. The last time I rode the cable cars was pretty windy which makes for an, erm, exciting ride! 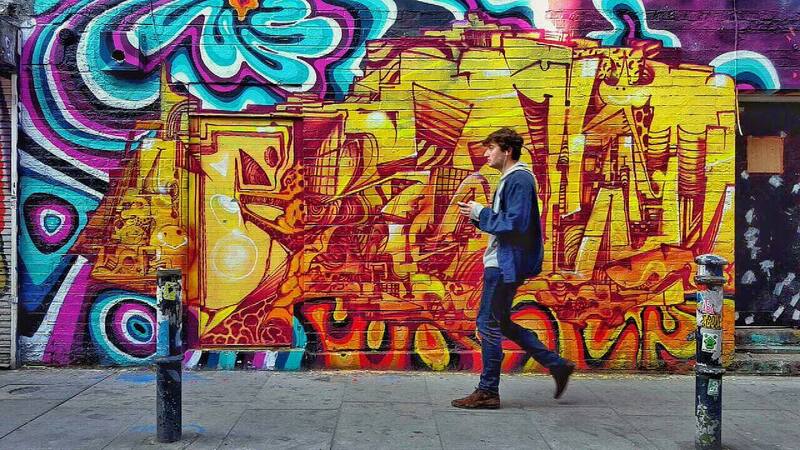 Once you’ve done the well-trodden tourist track, head east to the trendy Shoreditch – home of the hipster and the backdrop for an awesome Instagram picture or two. 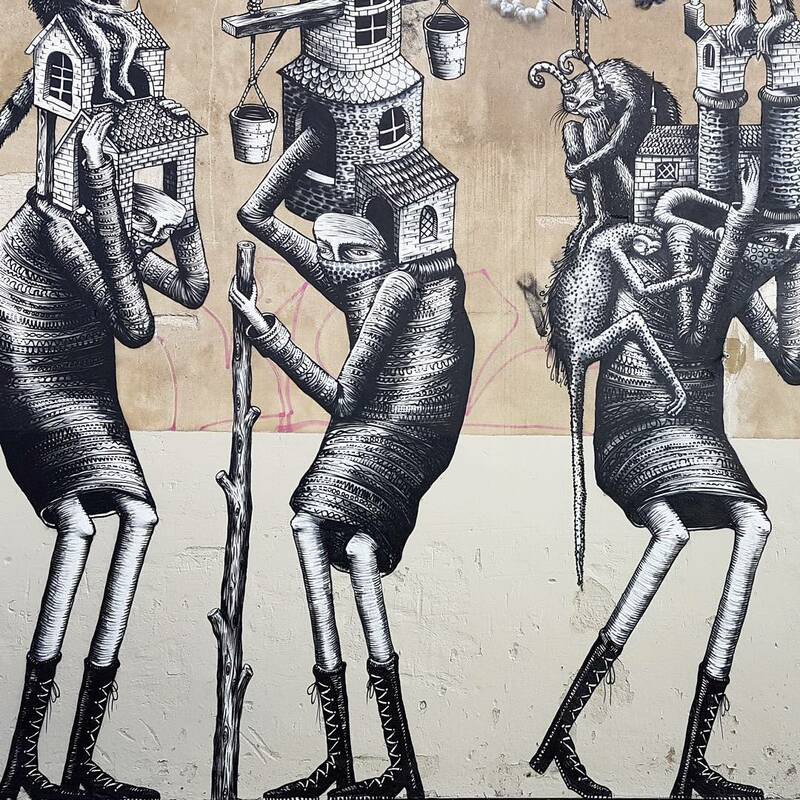 This is my favourite part of London as you can’t turn a corner without bumping into some awesome street art (you can even take a street art walking tour if you fancy it!) 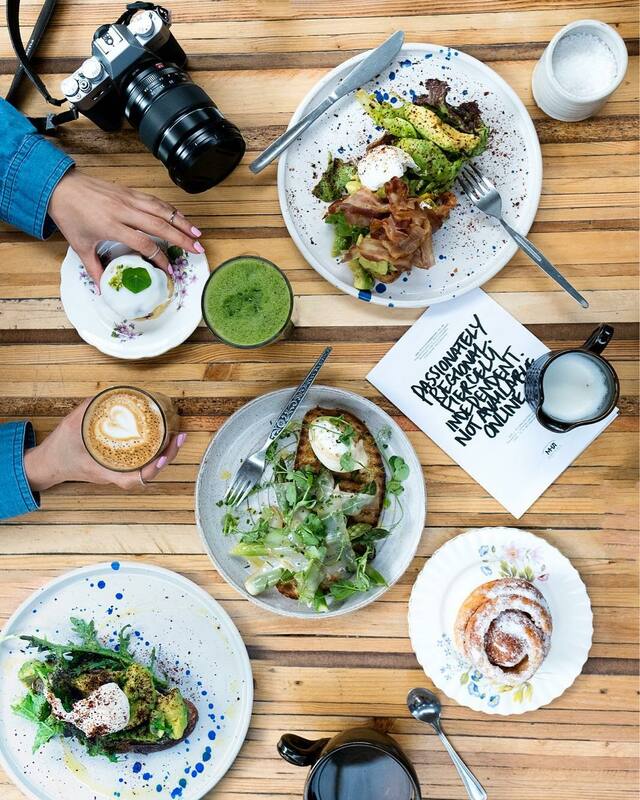 and there are some amazing places for brunch – smashed avocado galore! One of my regular spots is Cream where they do amazing juices. 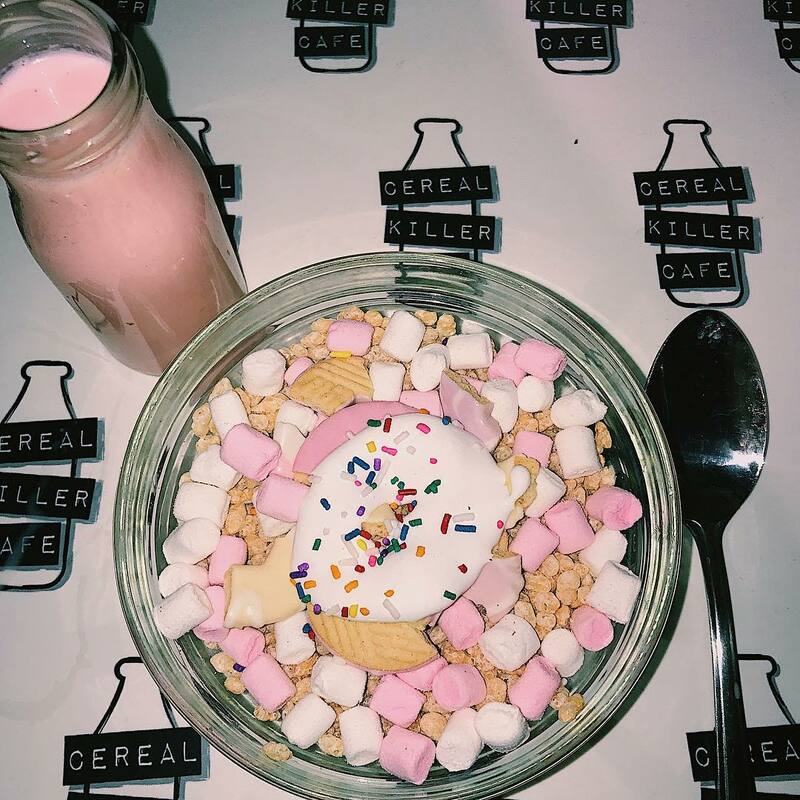 If you love cereal then you have to check out the Cereal Killer Café where classic cereals are on offer at any time of the day and for a lively lunch try Bounce where you can play ping pong in between drinks. Let me guess, when you think of Liverpool your mind immediately goes to the infamous Scouse foursome, The Beatles? This UNESCO maritime city has SO much more to offer and is the perfect addition to any UK trip. If you like architecture, this northern port town has the most Grade I listed buildings in the UK as well as Britain’s largest cathedral! A 3 hour free walking tour departs every day at 11am in front of the Prince Albert Statue, which attempts to explain the origins of the distinctive ‘Scouse’ accent – it’s really interesting and a great way to spend a morning. I love Liverpool for having one of the wildest nights out (think: The Hangover), especially if you’re into dance music. Head to Heebie Jeebie’s for some bangers. Hatters Hostel is brilliant, as is Tavernco, which is just the best breakfast to nurse the hangover. They offer an amazing stack of fluffy American-style pancakes for only £3.95. 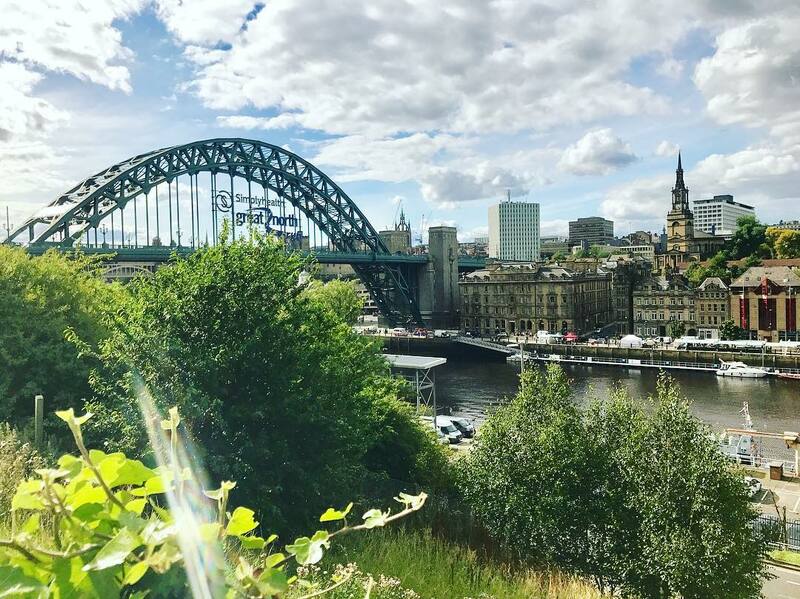 Newcastle is possibly the friendliest city you could visit in the UK and the liveliest! Start your day with breakfast on the quayside at the bijou Quay Ingredient, but get there early to beat the queues at the weekend, and order their famous eggs benedict. 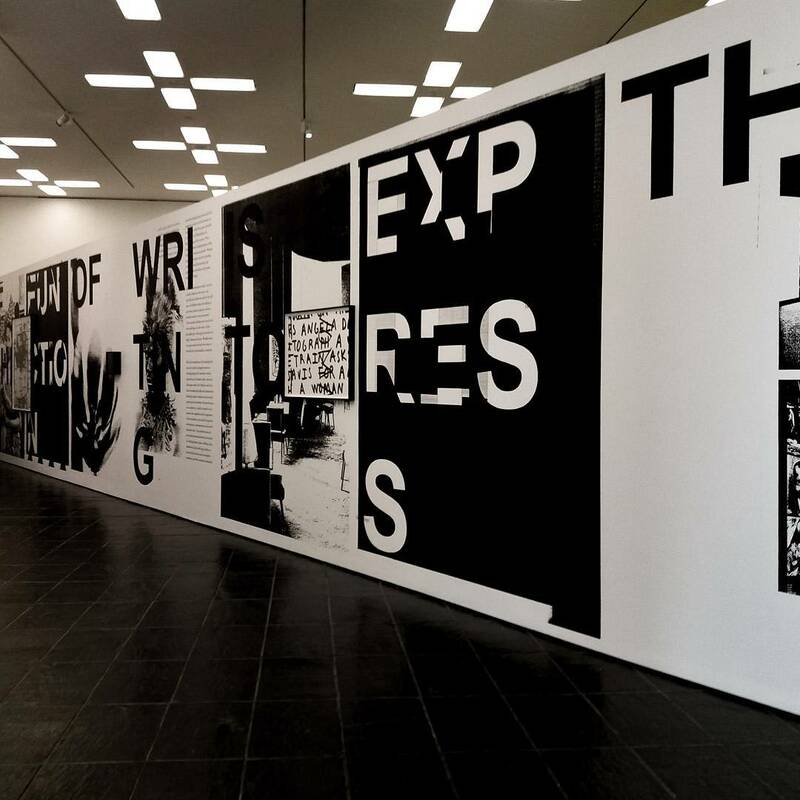 Then, take a stroll along the riverside and cross the Millennium Bridge to The Baltic Centre for Contemporary Art, which is free of course. 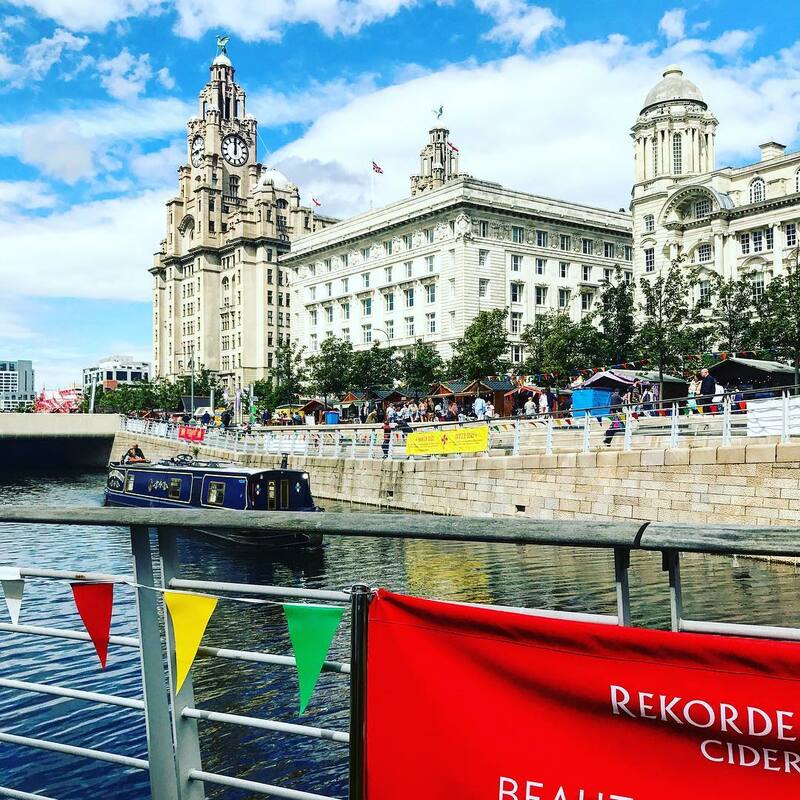 Housed in a converted flour mill, The Baltic has featured artists such as Anthony Gormley and Damien Hirst, and has amazing views from the terrace on level 4. You have to visit The Victoria Tunnel, a 19th century former wagon way used for delivering coal, and later, as a World War II shelter. Take a warm layer as it’s damp and chilly down there and make sure to book tours (around £7) in advance! If you fancy a night out, visit Madame Koo, a hidden gem with cosy booths and Asian vibes. But remember, if you want to blend in with the locals, leave your coat behind. Even if it’s -2°c in February, Geordies famously NEVER wrap up warm on a night out. For a super friendly stay, Albatross is right in the middle of the city and the staff will make you feel right at home with free tea, coffee, and toast. It still amazes me how many people have yet to visit Cornwall. 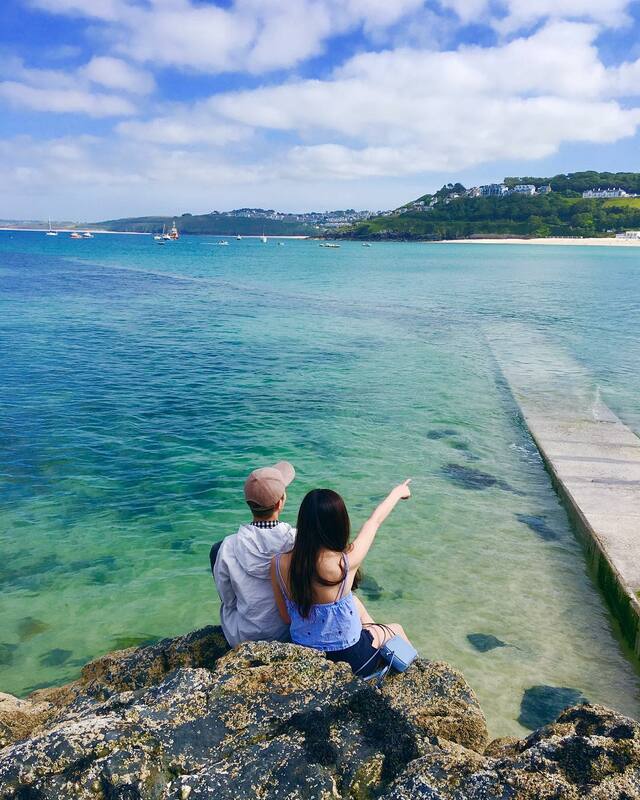 When it comes to coastal holidays and getaways, very few places in the UK can match the breathtaking scenery and beaches of Cornwall. 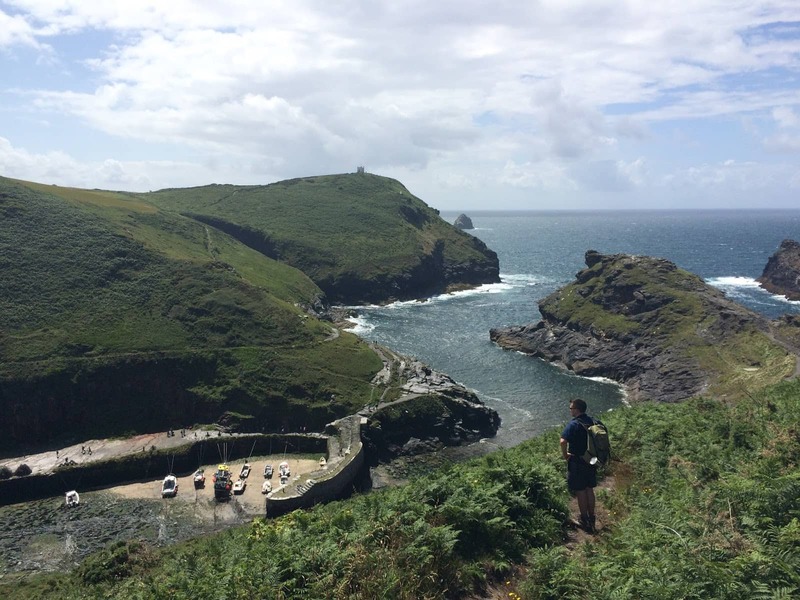 The South West Coastal path is a gem for hiking lovers, and many of the bays on the North coast provide some of the best surfing spots in the UK. Every town, no matter how big or small, will have its own hidden pubs, walks and beaches. There is also a lot of history in Cornwall too. Go and explore Tingagel and the coastal ruins of the birthplace of King Arthur. Visit Michael’s Mount, a tidal island on the South Coast, and especially Perranporth – a place I’ve visited every year since I was 8 years old – for its 2-mile long, spectacular golden sands, and the Watering Hole – the only pub on the beach in the UK! Cambridge for me is a perfect escape from reality – I often feel like I’ve stumbled into some Tudor fantasy. 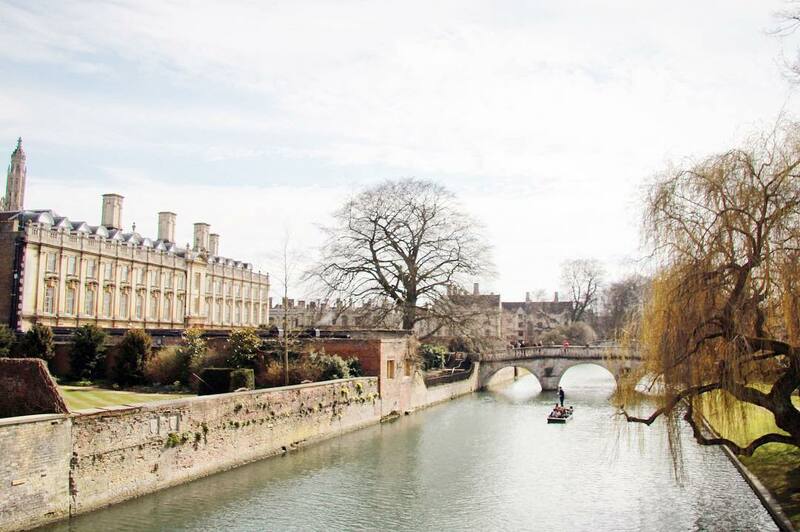 One of the key attractions of Cambridge that you can’t miss is the world famous university – the thirty odd colleges essentially pin the city together. You can enter some of the haloed ivory towers for free but expect to pay around £5 to enter some of the more famous colleges. I recommend visiting Newnham which has a gem of a garden encircled within its brick walls, or Christ’s College, which is also free. For me, attending the evensong is one of the most memorable parts of a visit to Cambridge and the best thing is that it’s absolutely free! King’s College holds the most famous evensong, but Trinity, Selwyn, St. Johns and many other colleges also have crisp-voiced choirs. Take a walk along ‘The Backs’ (Queens Road) from autumn to early spring to get one of the best views in Cambridge: King’s College Chapel across the meadow. The Backs itself is beautiful – sticking my head out punting on the River Cam definitely has to be one of my most romantic travel experiences in England and Europe – Venice, eat your heart out! Go punting in the mornings when it is less crowded – I recommend going with local operators Scudamores who offer an excellent 45 minute guided tour of The Backs. Book online as it costs less than booking at the kiosk (around £16). YHA Cambridge offers great value meals in their onsite Scholars bar and restaurant. I also recommend popping into Cambridge’s iconic bakery & cafe, Fitzbillies, to admire their beautiful art nouveau windows, and of course sample everything on their menu. Go for crab pate with pickled cucumber, sausage rolls, or their signature ‘Chelsea buns’ soaked in dark syrup at just £2. I am endlessly fascinated by how much there is on my own doorstep, and all so nearby. Although I love a good city break, and in the UK we have plenty of scope for that, my heart yearns for the sea! So whenever I feel like a staycaytion I always head down to Whittstable on the Kent coast, a quick 30 minute drive from Canterbury. Whitstable is a super cute little seaside town, with oodles of classic charm. A quick one hour train ride from London (St Pancras offers a high-speed service), you can spend a week, weekend or even just a day here. 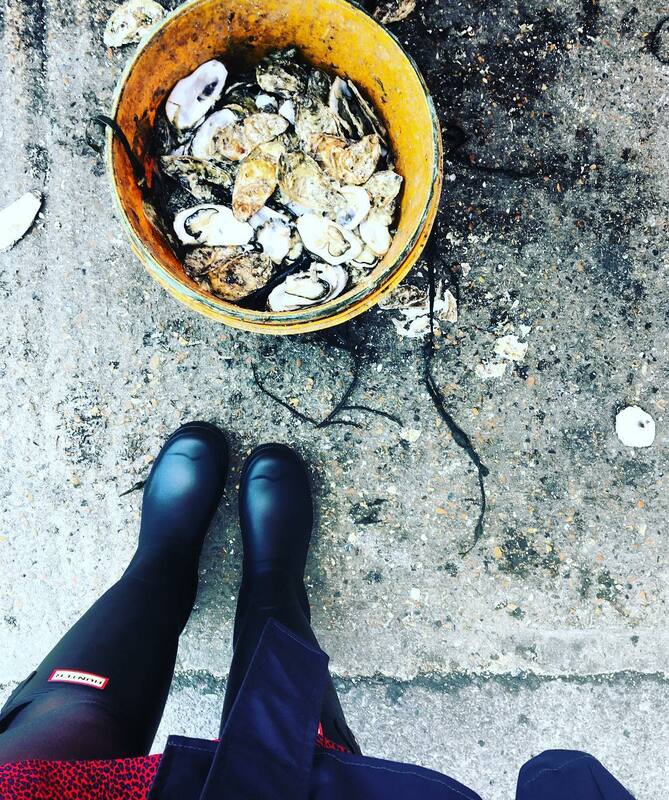 My top tips when you get to the fishing town is to head for the harbour, grab some Whitstable ‘native’ oysters (I had these at my wedding!) and lobster on the beach at The Lobster Shack before strolling along the beach to The Old Neptune pub to quench your thirst. Make sure you get some pictures of the pretty beach huts too. Harbour Street is full of lovely lifestyle shops so you can grab something to commemorate your trip, or even just stuff yourself with some more food – the Crab & Winkle is a must-visit for some stand-up seafood on the go. And if you linger a night or two book yourself a spot at the Michelin starred Sportsman in nearby Seasalter for a delicious dinner. I’ve been lucky enough to spend my whole life growing up in this part of the UK and it is seriously amazing. Located a mere two hour drive from London it is perfect destination for anyone traveling the UK. 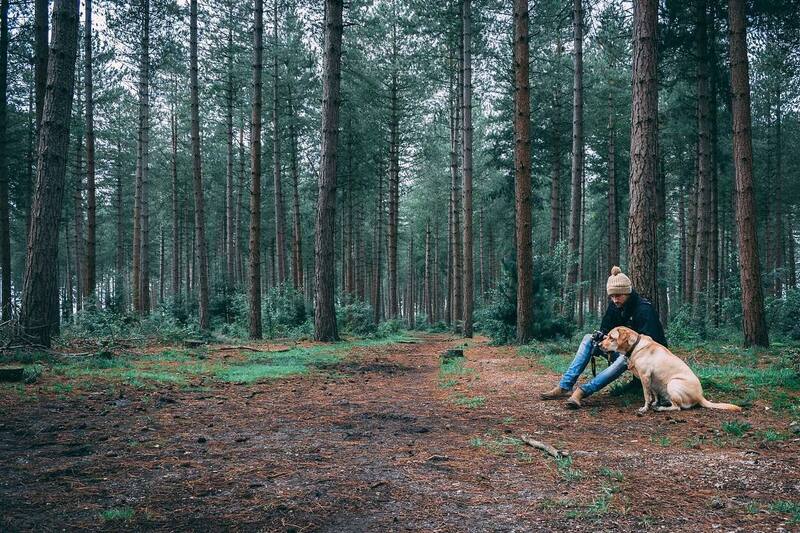 From the moment you enter the New Forest national park you are surrounded by forests, commons, and a large number of walking/cycling trails. Look a little harder and you’ll realise that there are wild animals roaming free – think horses, cows, and even the occasional pig. 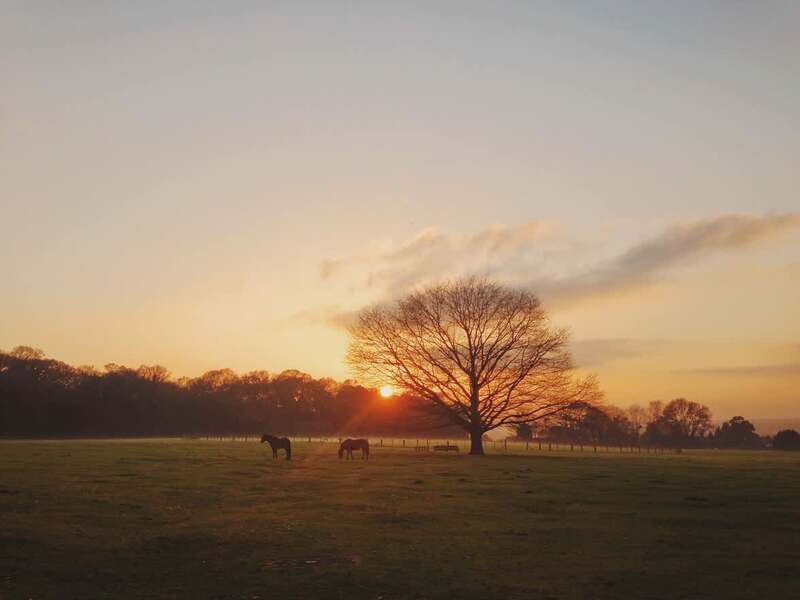 The New Forest consists of many small villages and towns which are worth a visit, namely: Burley, Lyndhurst, Lymington and Beaulieu. Once you’re here there is so much to see and do, I’d highly recommend hiring a bike and hitting the trails to really get the most of out your trip – even better, make it into a bit of a pub crawl. Talking of pubs, they would be my biggest recommendation for food and drink, just about every town and village has one. If you’re visiting in summer then I’d also highly recommend bringing a tent and camping for the weekend at one of these sites. The New Forest Water Park is also one of the best activities for summer. Alternatively, if you come in the colder months, bring your layers and wellies for a walk then head to a pub to warm up by an open fire. I also crave the feeling of being somewhere a touch more exotic than the good old UK. Whenever I feel like I need a tropical fix but my budget can’t quite stretch to a jaunt overseas, I head for Lydford Gorge in Devon. When you’re standing at the foot of the White Lady waterfall, you could legitimately be in Bali, or Mexico. Take a stroll up the path cut into the side of the gorge, step into the famous ‘Devil’s Cauldron’, where the raging torrent has cut far down into the shiny black rock, and you’ll be convinced that you’ve left England far behind you. Once you’ve emerged from the gorge, dazed, head for Brentor, just as dramatic, but a world away. Climb the rugged ‘tor’ to the chapel perched at the top, which, amazingly, still puts on Sunday services, and drink in panoramic views over the moor all the way to the south coast. Explore Devon’s winding lanes and head south to the likes of the regency seaside resort of Sidmouth, which comes alive with its Folk Week in the summer, or north to Ilfracombe, where waves crash on a coast which, on a sunny summer’s day, gives the Med a run for its money and surfers flock. This is prime camping country, perfect for a road trip and nights in coastal campsites or free-camping in hidden spots on the moor. Come prepared for the rain, as it’s anything but dry down here, but it’ll enchant you anyway. My favourite place in the UK has to be the Isle of Thanet on the East Kent coast, home to Margate. There is a thriving and quirky creative scene and the epic skies inspired the painter Turner, while the modern day Margate gave us Tracey Emin. The Isle of Thanet was the original home of the British seaside holiday, and today it’s where buckets and spades and sticks of rock meet boutique hotels and slick art galleries, while retaining a relaxed, down to earth charm. I love browsing around flea markets which are packed with retro gems and descending (hard hat included) into secret wartime tunnels. Ramsgate is nearby with the country’s only Royal harbour while Broadstairs is the quintessential British beachfront town. You can eat fresh seafood right off the boat, explore one of the 15 sandy beaches and bays, climb chalk cliffs, or cycle the pathways of the Viking trail – and you have to have what’s been called the best pizza in the country at GB Pizza, then walk it off while watching the sunset over the sand. Alnwick in Northumberland is one of those places where you feel like you’ve REALLY come away from the hustle and bustle of everyday life. Gorgeous countryside and quiet quaint villages combine with amazing fresh seafood and long stretches of beaches, which make it the perfect place for a staycation. There are some lovely walks depending on whether you want a stroll or a full on hike, such as around the beautiful Dunstanburgh Castle, a few miles from Alnwick, or just park up alongside a stretch of beach and wander for a few hours. Also, it’s definitely worth getting on a boat for £7 to the Farne Islands, where you’ll experience a blustery hour of observing hundreds of puffins, seals, and other seabirds perched on rocks. 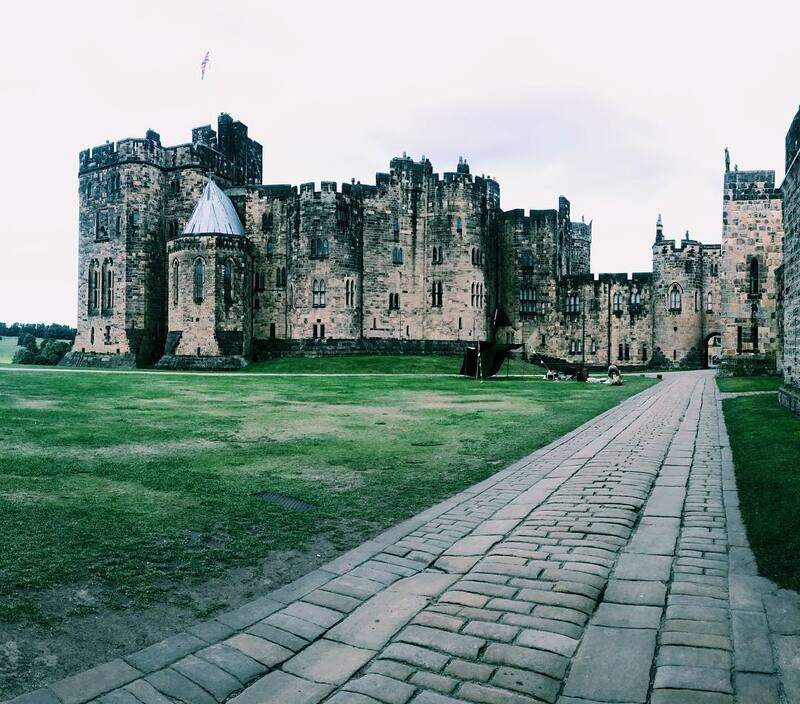 You can’t miss a visit to Alnwick Castle, which played host to some scenes in the Harry Potter movie franchise – you’ll definitely recognise it as you approach! 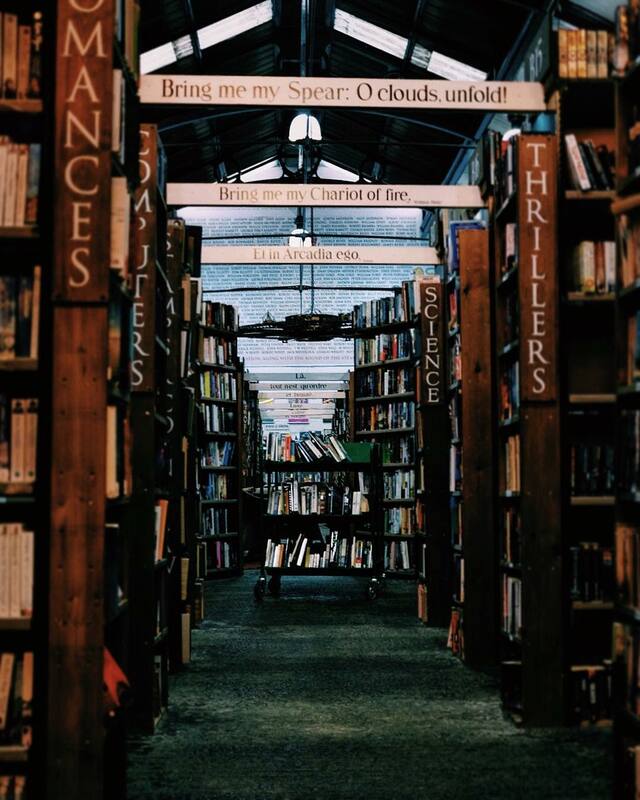 As a bookworm, I absolutely love Barter Books, Alnwick’s huge bookshop – it’s actually one of the largest second hand bookshops in Europe. After an afternoon of reading (and maybe a bit of walking! ), head to the Craster Seafood Restaurant for delicious fresh fish overlooking the sea. Alnwick is a quick 45 minute drive or train ride from Newcastle, so it’s easy to get to from a Newcastle hostel. I particularly like Albatross, which is really central and near the train station, so it’s easy to hop on a train to Alwnick. 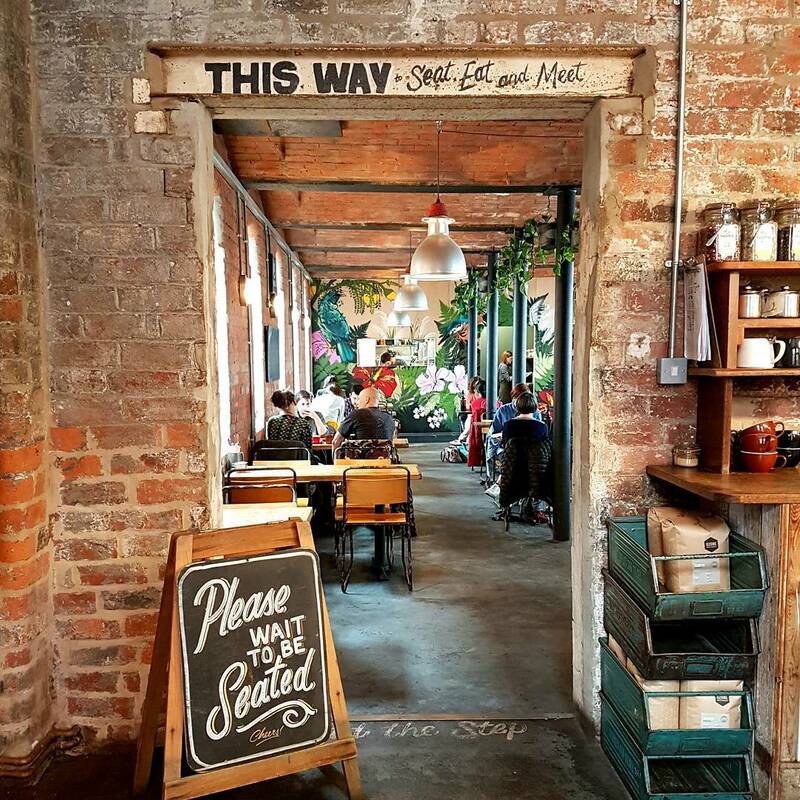 Manchester is a city with MANY personalities – you can literally find anything you want, which is why it’s SO good for a weekend away – and the people are ridiculously friendly. 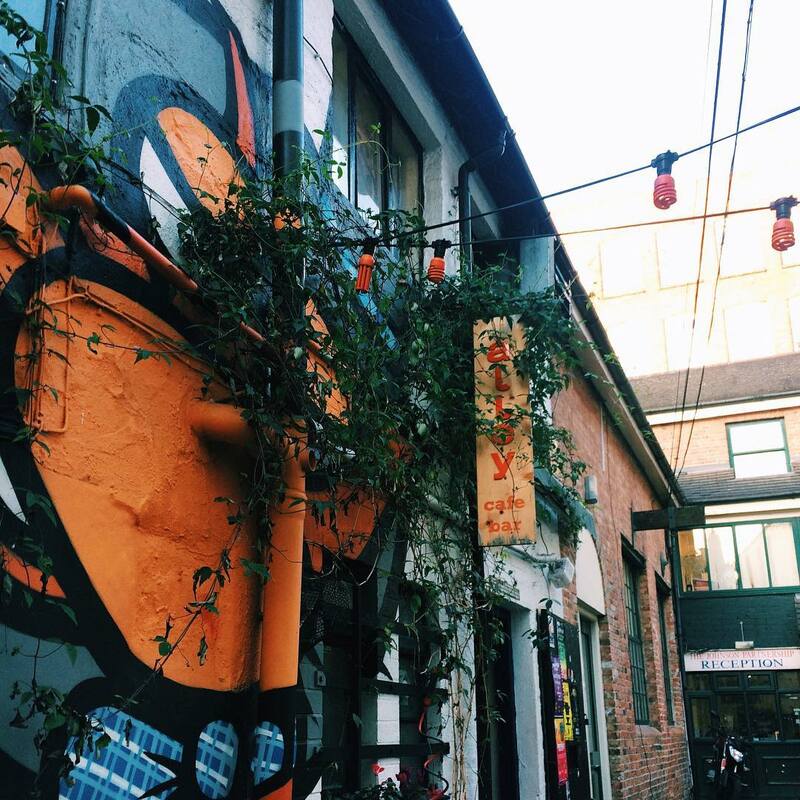 The Northern Quarter is home to some of the coolest street art and is definitely worth just wandering around. Manchester is also extremely gay friendly – if you head to Canal Street you’ll find a huge host of gay bars and clubs.For a smarter vibe, pop on a tram (they’re super easy and convenient) to Spinningfields, where you’ll find smarter restaurants, bars, and great shopping. Manchester is home to two universities, which means you’ll never be short of places to go for a (cheap) night out. The city really does have some of the best nightlife in the UK (I’m definitely not biased, ha ha), including The Warehouse Project, which consists of 4 months of weekend raves in an old air raid shelter – trust me, it’s a night to remember. To sample a delicious brunch with several veggie options head to the central Federal Cafe, or Allotment, which will help nurse the inevitable hangover. For a cheaper option you can also head to Altrincham Market – I love the avocado toast (basic but yum!) Science nerds should head to Jodrell Bank Observatory, the home of the third largest telescope in the world. For footie fans and a true Mancunian experience (they LOVE their football and the battle between City and United fans is one you’ll hear everywhere), head to Old Trafford for a tour of the Man U stadium for around £20. The creative city of Sheffield is underrated in my opinion – there is so much to see and do here. The shopping is great in itself, but for a break from the busy streets, head to the gorgeous Winter Garden, a HUGE glasshouse – and it’s right next door to the Millennium Gallery, which usually has great exhibitions on throughout the year. I also love the stunning ruins of Peveril Castle – it’s definitely worth the half hour drive out of the Sheffield city centre. For more challenging hikes, the Peak District is on your doorstep (a 20 minute bus ride away), with miles of beautiful rolling hills. After all that walking a drink is in order – Sheffield’s huge student population means there are SO many options. I like The Great Gatsby, where you can literally go from eating street food in the day to partying until 3am, with delicious cocktails on offer. Head to Tamper Coffee the next day for a Kiwi-esque brunch – the Eggs Benedict is AMAZING. One of the best things to do in Sheffield is to literally just walk the streets and find yourself a cosy pub – the city is FULL of them! The Riverside is great on a sunny day, and The Old Queens Head is super cosy and authentic. Completely random, but if you fancy meeting some alpacas, llamas and reindeer, head to Mayfield Alapaca Farm on the outskirts of Sheffield – it’s a really fun way to spend an afternoon. 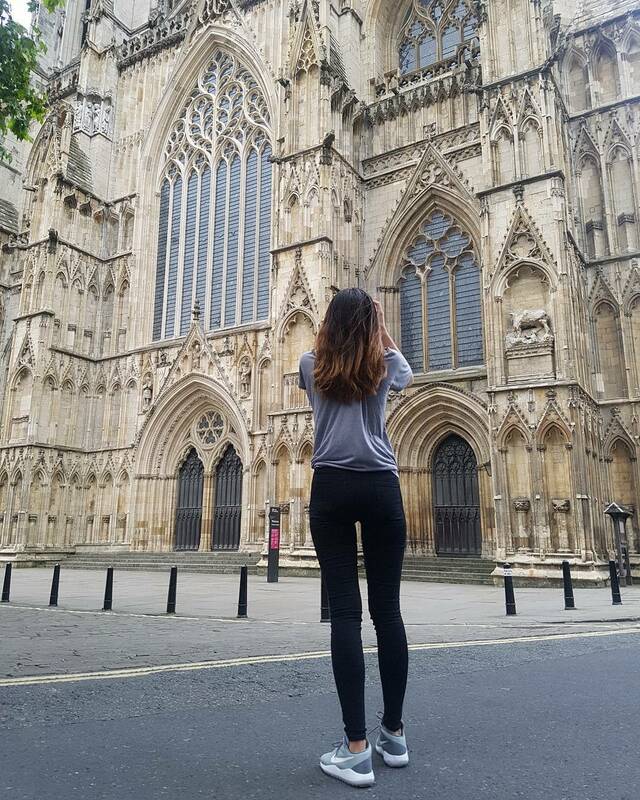 York is one of the prettiest cities in the north of England and I absolutely love it – it’s full of cosy cafes and there’s so much to see. This might be touristy, but York Minster is a must, it’s an imposing Gothic cathedral and definitely a landmark of York. It’s £10 to enter but this includes a guided tour and it’s fascinating to learn about the history – one of the windows is the biggest stained glass area in the whole world! 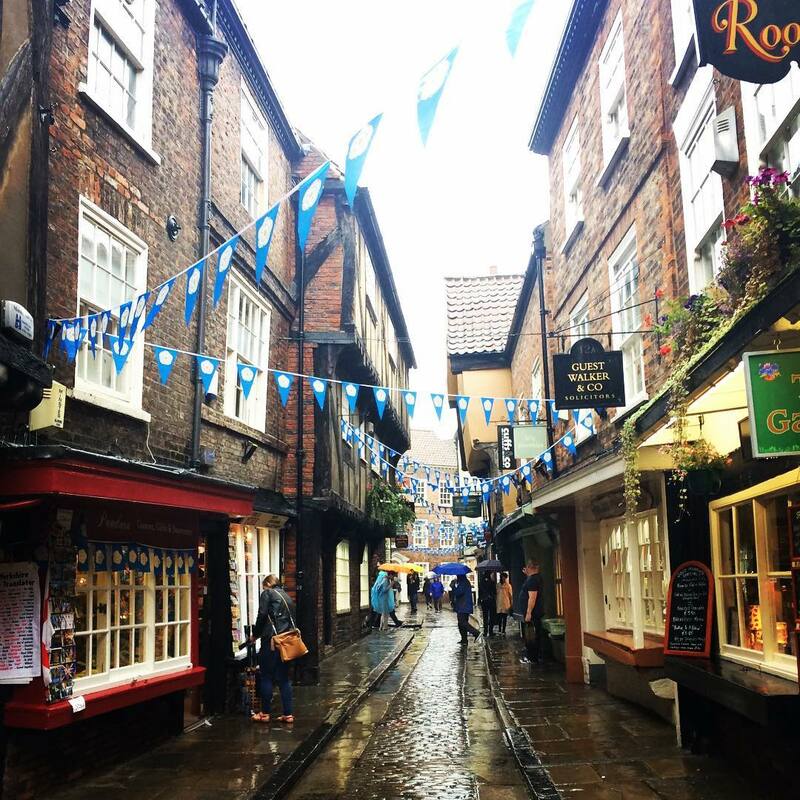 You’ve also got to visit The Shambles, potentially my favourite area of York, filled with gorgeous picturesque cobbled streets, cute little cafes, and restaurants, and also the inspiration for Harry Potter’s Diagon Alley! Head to The Teddy Bear Tea Rooms, a gorgeously quirky cafe with fabulous scones. Jorvik Viking Centre sounds random but it is super interesting and one of the best things I’ve done in York – the exhibitions about the history of the Vikings is actually so interesting, with amazing preserved artefacts and the whole thing feels like an old Viking City. And lastly, you cannot miss a visit to The Cafe 68 Gillygate for a delicious traditional brunch – they do an excellent veggie breakfast. 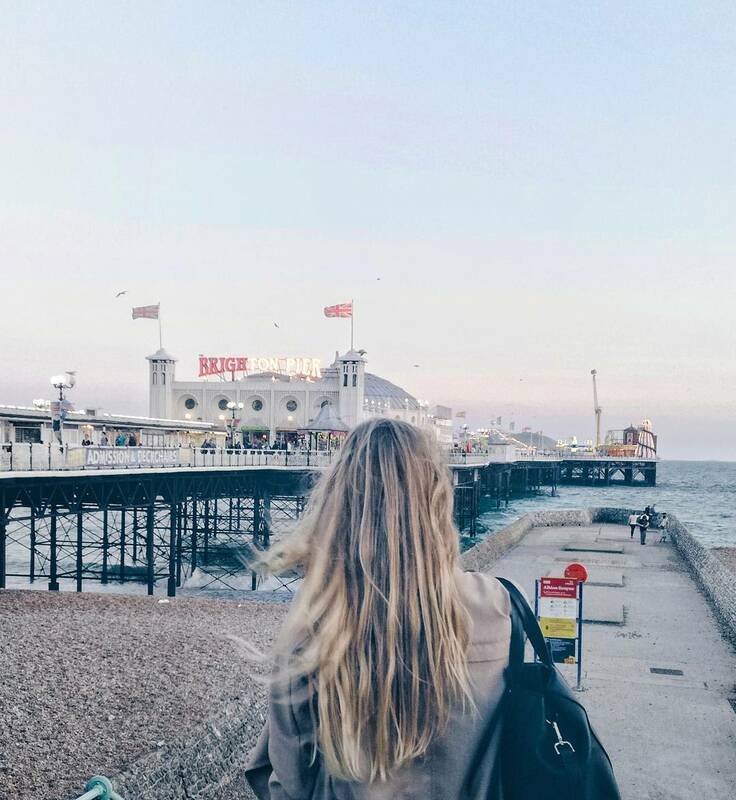 This town oozes quintessential British seaside charm, if not only for its colourful beach huts that line the beach – I LOVE feeling like I’m on an old fashioned seaside holiday. You definitely have to check out the pier for some good old fashioned eccentric amusements, quirky beach shops, and beach cafes. Head to The Clockhouse for some gorgeous coffee and cake overlooking the sea – being by the beach always makes me feel totally relaxed. Southwold’s little market is on from Monday-Thursday and is definitely worth a browse, they sell everything from food to flowers and I can easily spend a few hours wondering around the quirky little shops in the pretty town. 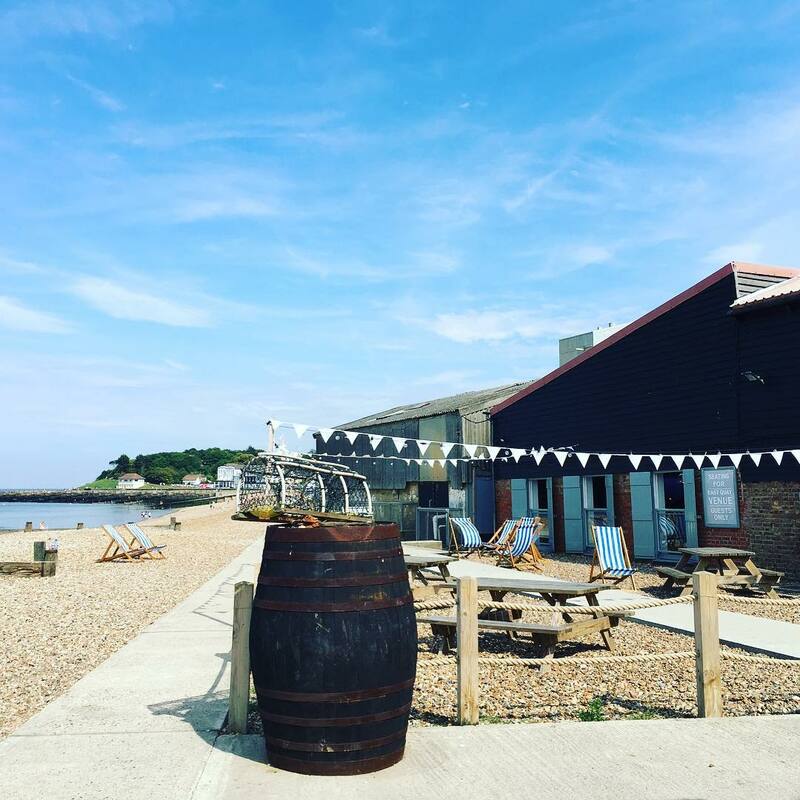 If you fancy doing something different, head to the world famous Adnams Brewery near the lighthouse – it’s really interesting to find out more about the distillery and there is even the option to make your own gin. To explore a bit further afield hop on a foot ferry to Walberswick, a beautiful secluded little village. 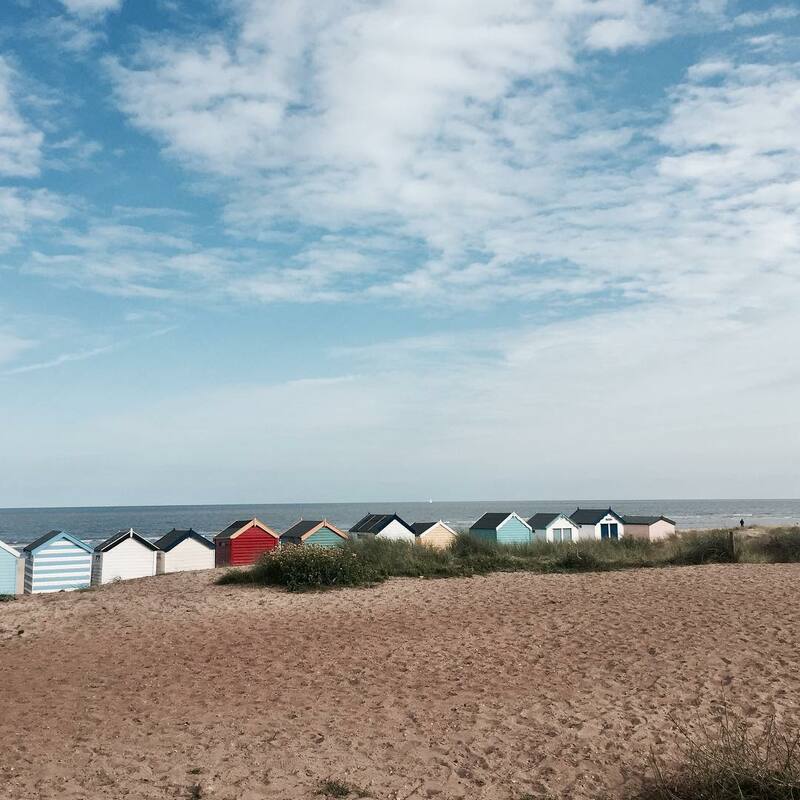 Southwold is easily reached from Cambridge so it’s perfect for a day trip. Oxford may be well known as Cambridge’s main university rival, but this city boasts so much more than that. 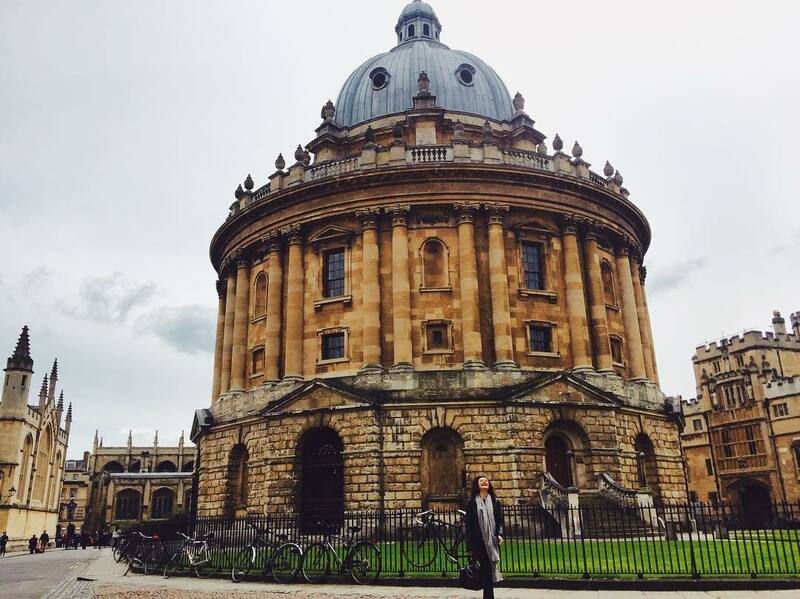 Having said that, I definitely think it’s worth exploring the university grounds, particularly the gorgeous Bodleian Library – I can’t believe students actually study there. The University of Oxford Botanic Garden is also definitely worth checking out, it’s a lovely peaceful way to spend a morning before more sightseeing. If you fancy something a bit more exciting (but still super relaxing), go for a punt. 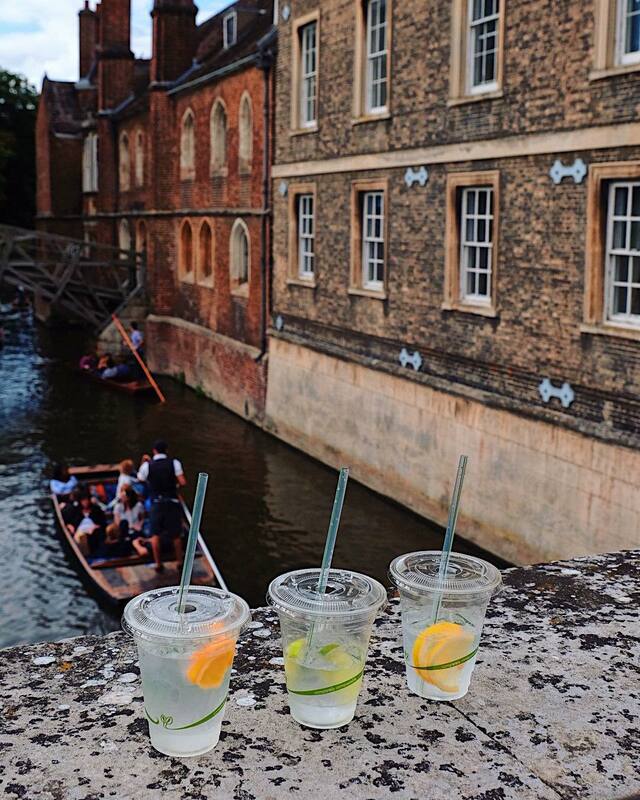 Oxford has great punting options – head to the Magdalen Bridge Boathouse to rent a punt for £22 (5 people). 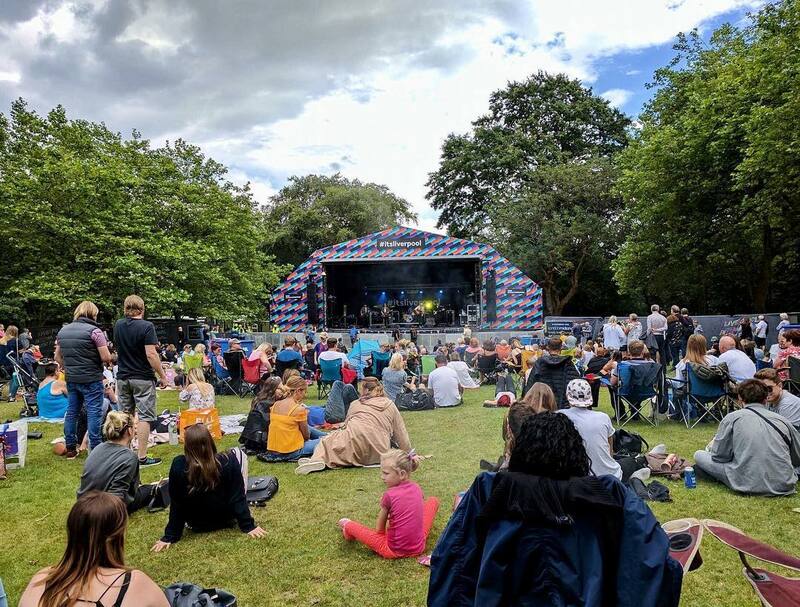 For a different kind of night out, head to the Oxford Playhouse, where you can watch traditional plays in an open air theatre – but be prepared for rain! For some awesome coffee you’ve got to head to Queen’s Lane Coffee House, the oldest coffee house in Europe, in the beautiful area of Queen’s Lane. Alternatively, there’s Kitty Cafe – yes, it’s a cafe where you are surrounded by cats… it’s hilarious and SO cute (if you’re a cat fan obviously). Nottingham literally has EVERYTHING – it’s so underrated as a city break! 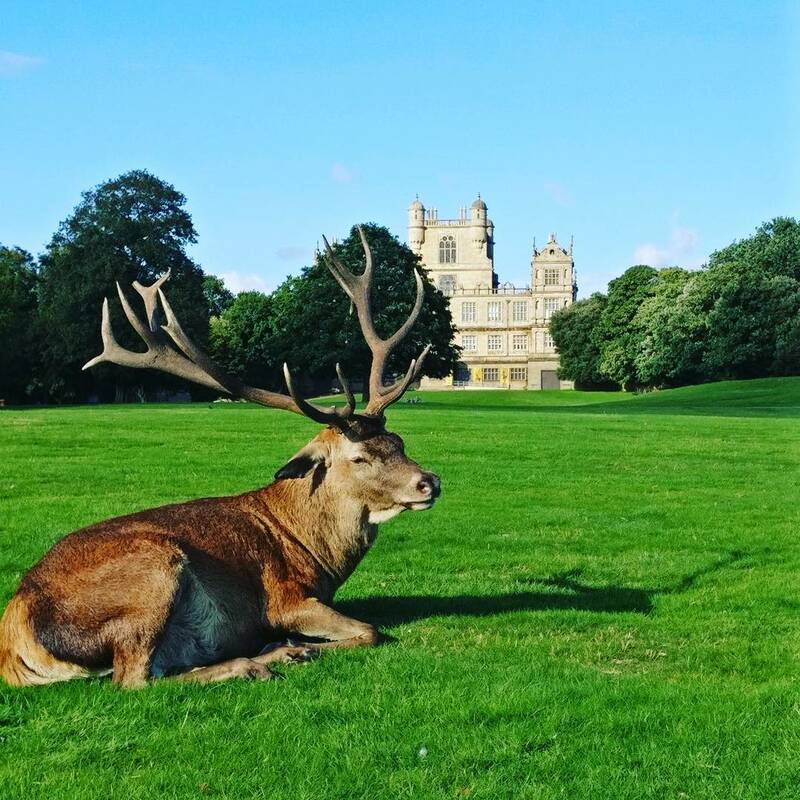 To see some gorgeous architecture, visit the beautiful Wollaton Hall, surrounded by parks perfect for a stroll, and also comprising of a history and industrial museum if you fancy getting nerdy. Another thing which can’t be missed when visiting Nottingham is the City of Caves – it’s a maze which goes back to the dark ages and they offer tours where you can learn about the history of the caves – it’s £8 entry and so fascinating. If that’s enough sightseeing for you, the nightlife in Nottingham is also INSANE. It provides thousands of students with cheap nights out every night, with the likes of Stealth, Rock City and Rescue Rooms, so you know you’re in good hands if you want an all night party. 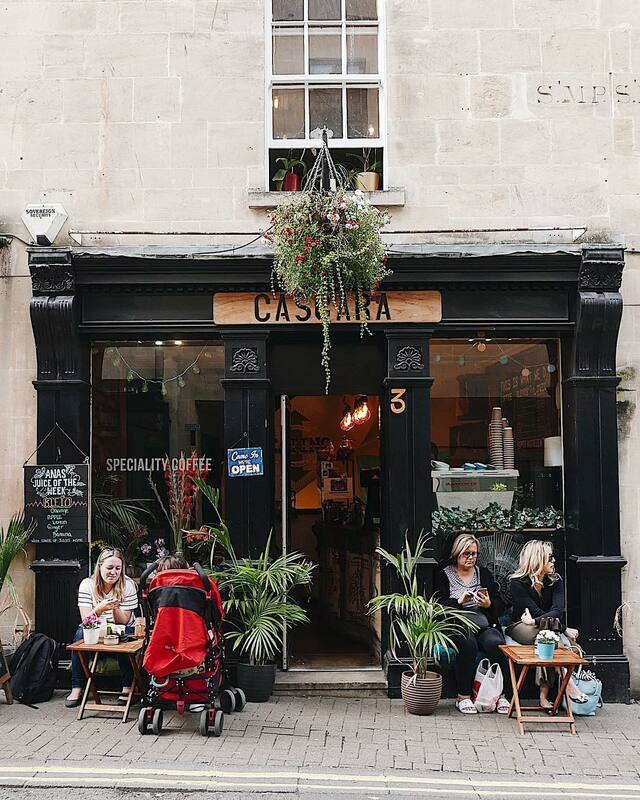 Don’t miss the quirky Alley Cafe which is solely veggie and vegan, and often puts on live music – try the veggie breakfast and a smoothie for the hangover cure of dreams. Do you know any hidden gems in England that we’ve missed? Let us know in the comments! ? Robin hoods bay in North Yorkshire should definitely be on there! Best place on earth!! I can proudly say that I visited most of these destinations! Love Robin Hoods Bay. Just booked a week for December, can’t wait. Polperro is beautiful too. Shame it’s just England because Edinburgh and the Scottish Highlands are beautiful, and so is Belfast and the North Antrim Coast in Northern Ireland. Brighton is a really cool place though. Lucky to live so close. You put Nottingham, above the Peak District in Derbyshire, you must be mad, Derbyshire is the best national park in the United Kingdom. Who agrees with me. What about Chester which of course also includes Chester Zoo. One of the top places to visit in the UK. Love this! London is always great in the Winter but I haven’t visited Bristol! It is on my list! We are planning a trip to Ireland in July 2019. We are not sure if we should spend 2 days touring part of England? Like Cotswold, we have done London on another trip. Or, do the Northern Coast of Ireland. Or, go to Amsterdam for 2 days….Please help! There are lots of wonderful walks/hikes throughout the Yorkshire Dales, also Malham Cove is a great place for a hike. Rye in East Sussex, an old smuggling town (former island) on the edge of Romney Marsh, is one of the most picturesque small towns in England. It has cobbled streets (wear flats), red rooftops, mathematical tiles, an old church on the hill, a castle and gun garden, Lamb House (where many of the Bloomsbury set stayed and where the Mapp and Lucia books and tv series is set), the Captain Pugwash author’s house, some great tea shops and historic pubs and even a jazz festival. Train from Charing Cross (change Ashford) or Victoria (change at Hastings). Stay at the Rye Motel if you’re on a budget. If not try the Mermaid Inn, a real old smuggler’s haunt full of history and creaking floors – and reputedly at least one ghost. Take your camera. From there, you can visit Hastings (the old town is nice), the old market town of Tenterden, Great Dixter gardens at Northiam and Bodiam Castle. I also recommend Chapstow, Chichester (and nearby Bosham), Chester, Rochester, Lewes, Ludlow, Sherborne, Totnes and Dartmouth, Stratford-upon-Avon and Warwick.